If you are interested in hearing the stories behind games like Uncharted 4, Star Wars 1313, Shovel Knight, and Dragon Age: Inquisition, then I sure do have the book for you! 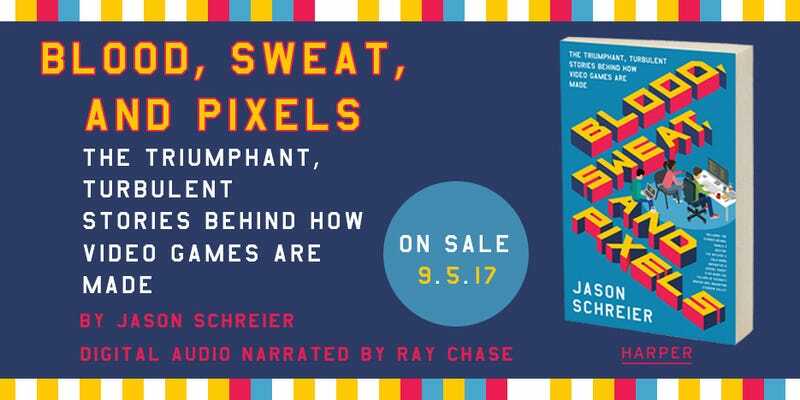 Starting today, you can get your hands on Blood, Sweat, and Pixels, which is available in physical, digital, and audiobook forms. It’s a book about why it’s so hard to make video games, and it’s based on firsthand interviews I conducted with 100+ game developers over the past two years, from Los Angeles to Warsaw. There’s even an excerpt up on the video game website Kotaku, telling the story behind how Diablo III recovered from Error 37 and transformed into one of the better action-RPGs we’ve seen recently. I put a lot of work into this book and I’m stoked for people to read it. You can find it wherever books are sold, and maybe even where books are not sold, if you try really hard.